Seen this One Page application site doing the rounds and its actually worth a mention. 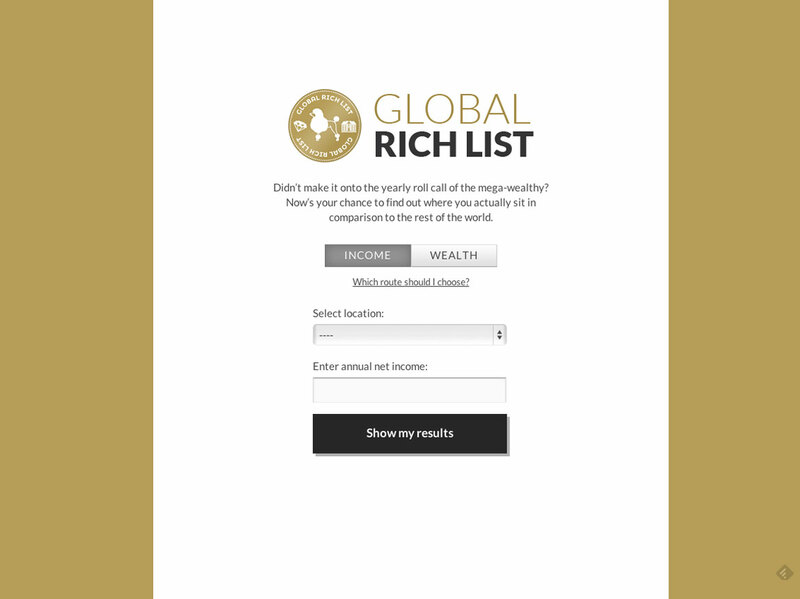 ‘Global Rich List’ compares your annual earnings to the rest of the world’s with the use of smart calculations, animations and infographics. Give it a go!